Outside Maiduguri. Northern Nigeria. 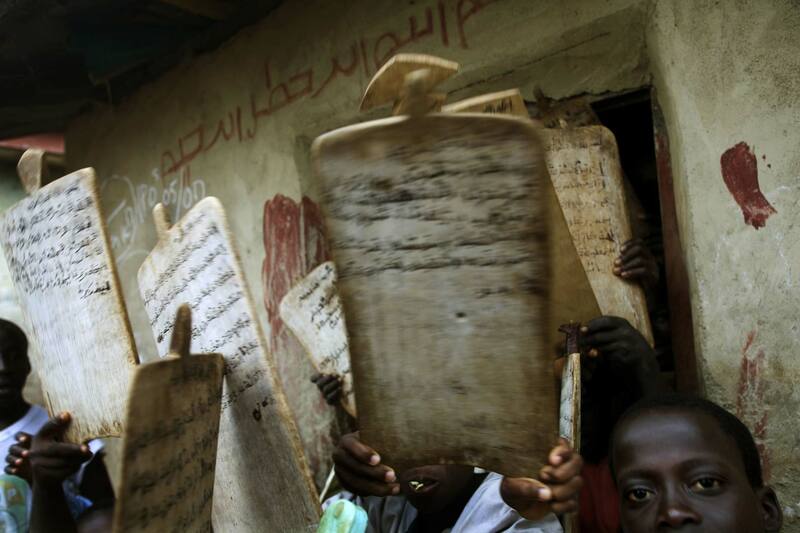 Sept 2007 Young boys attending classes at an Al Majari ( Madrassa) where they are expected to exchange work for their upkeep and education.These schools used to be legitimate centers of learning; and kids from 8 to 18 would travel thousands of miles to attend them. They were also free; and the teacher was able to support the school by putting the students to work on his farm. But thanks in part to climate change and desertification; the land can no longer support the farms; so these teachers move to cities; and the only way to function is to send the kids out begging for most of the day.